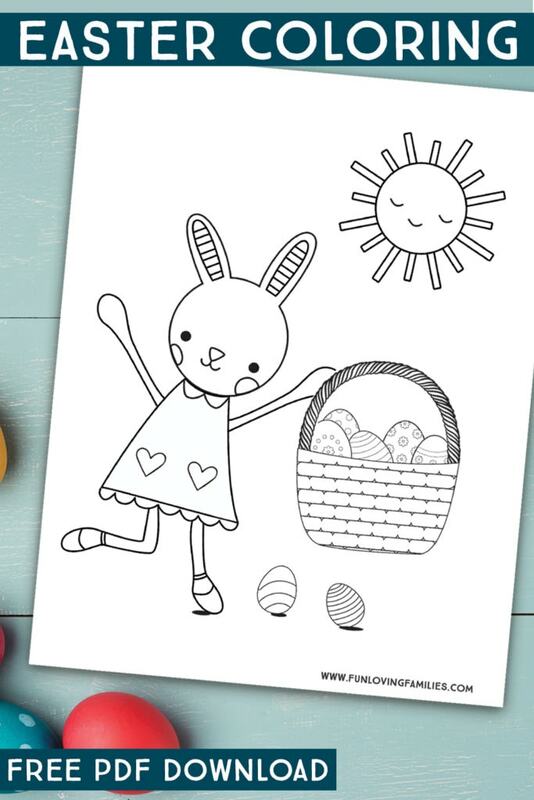 Here are nine free printable Easter coloring pages for kids and adults with everything from cute and whimsical bunnies, to religious Easter coloring sheets. Spring is finally here and I couldn’t be more thrilled to see some color in the landscape. I love seeing the bulbs coming in, and the bright pink and purple buds on the trees. They remind me of Easter eggs and it always gets me excited about Easter. This year we are traveling, so I don’t think I’ll get to do much decorating. But, I did get some coloring pages together for us to color when we have some down time. 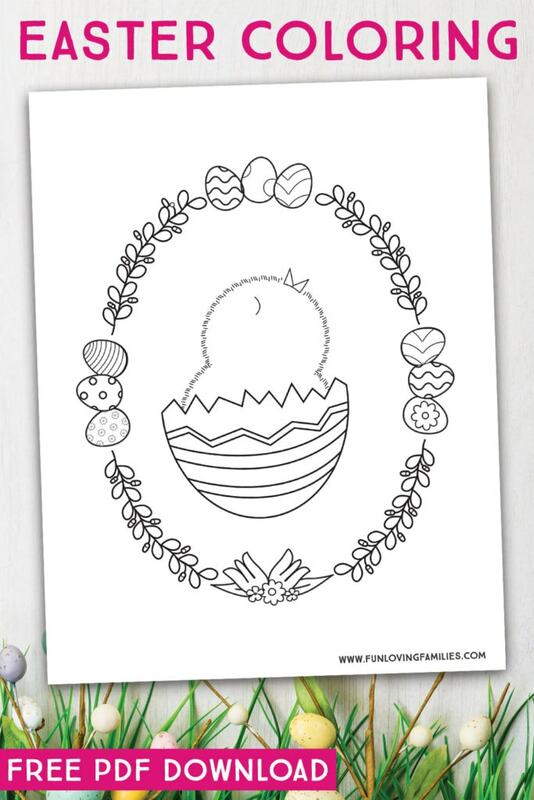 Below you’ll find some cute and whimsical coloring sheets for Easter. 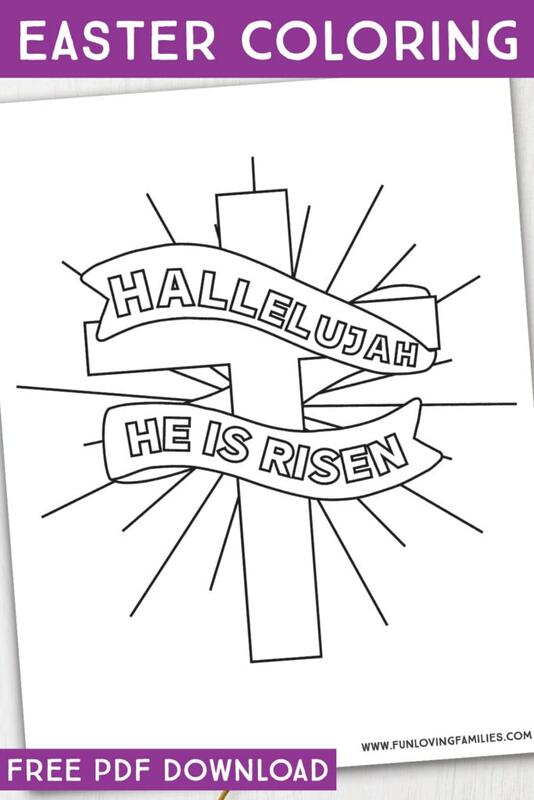 Plus I’ve included some religious coloring pages for Easter and Palm Sunday. These are easy to download the individual PDFs and print at home. 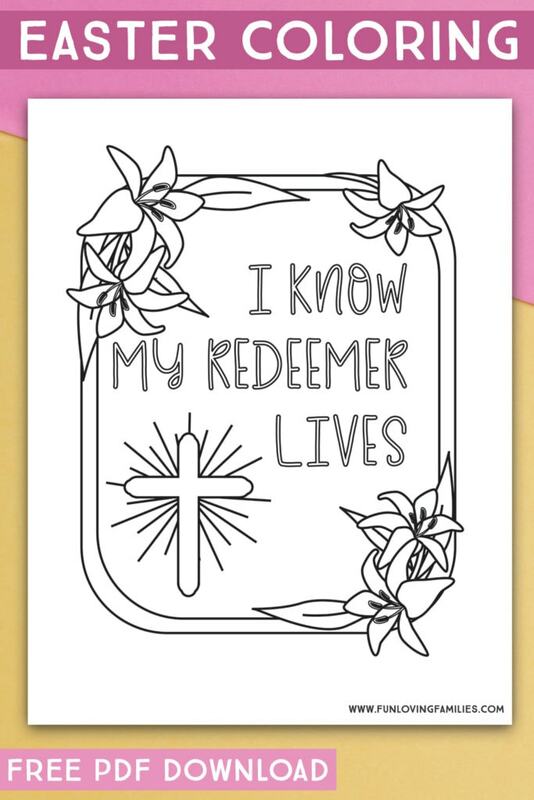 They are great to have on hand for an Easter brunch or for a Sunday School class. 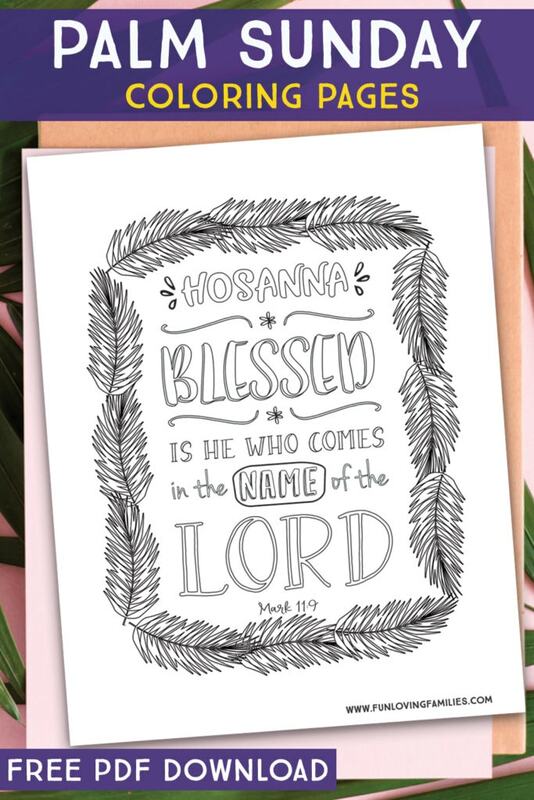 Palm Sunday is the Sunday before Easter and is an important part of the Easter story, so I definitely wanted to include some coloring pages for it. 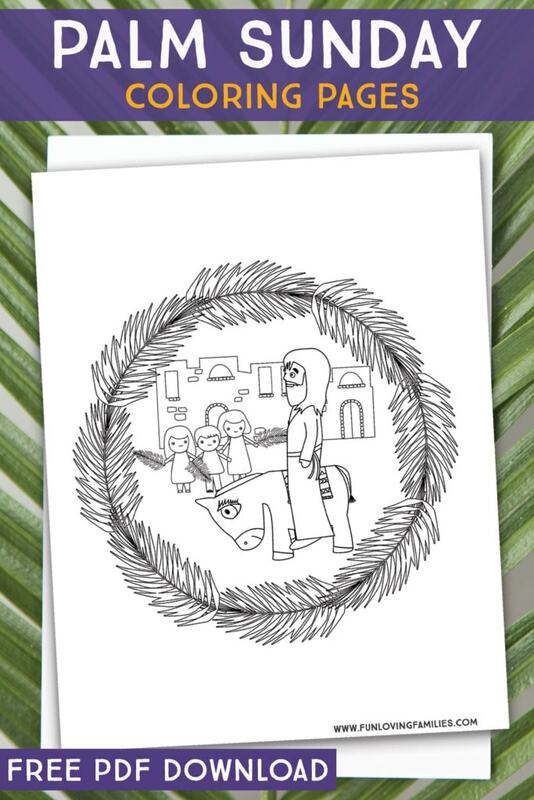 In addition to coloring, you could also use paper or palm fronds to make a cross (see these instructions). 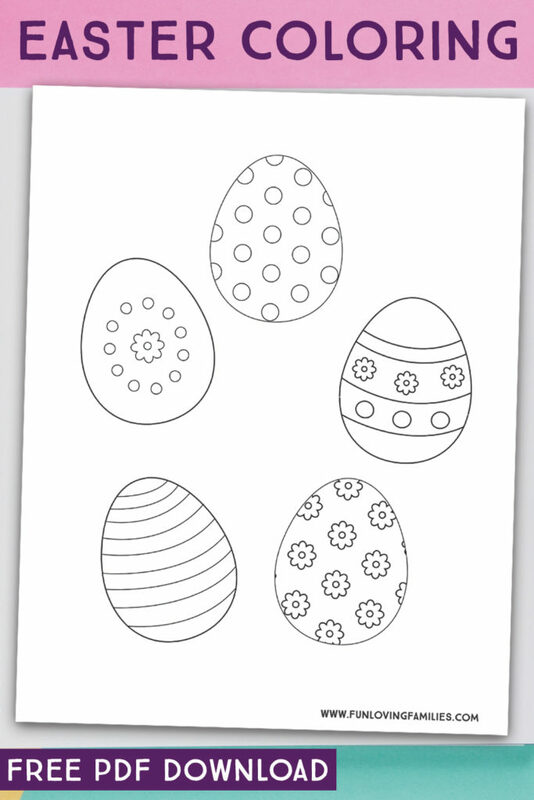 Dying Easter eggs is a fun Easter tradition, but if you aren’t ready to bring the dyes out yet, print some of these coloring sheets with Easter eggs for the kids to color and decorate as they wish. 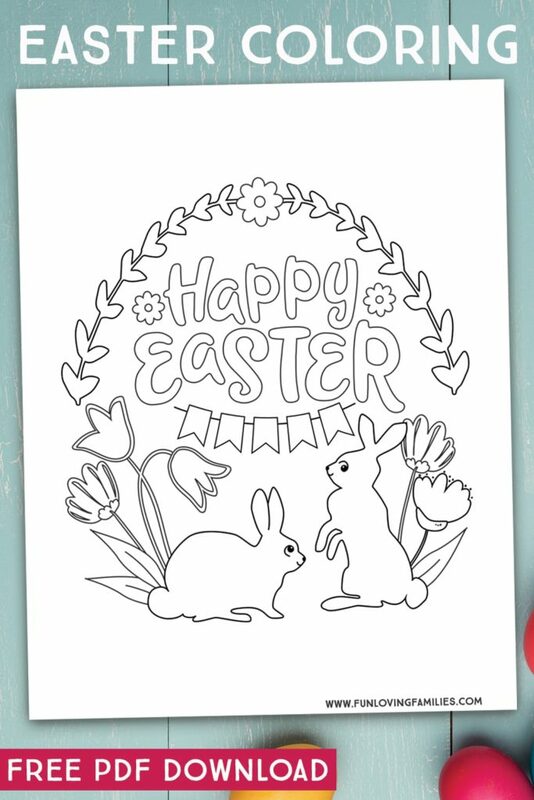 Print these coloring pages for your Easter Sunday gathering with friends and family. 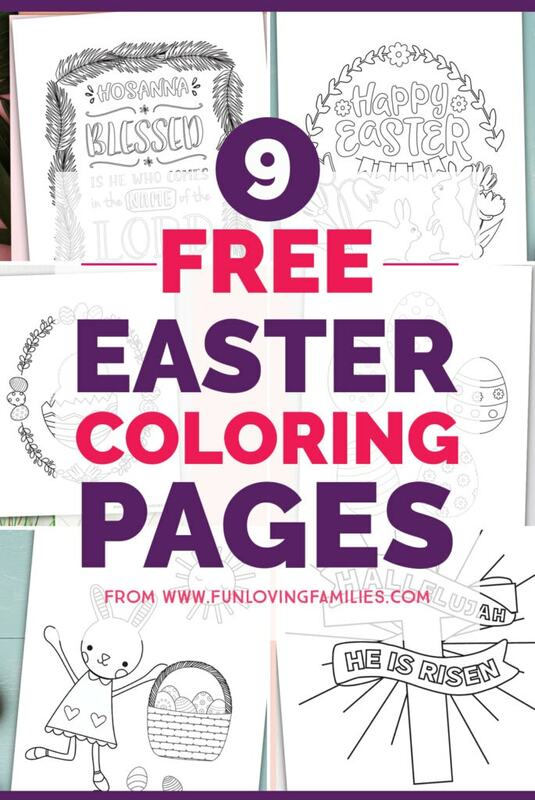 The kids will love doing some coloring in between egg hunts. 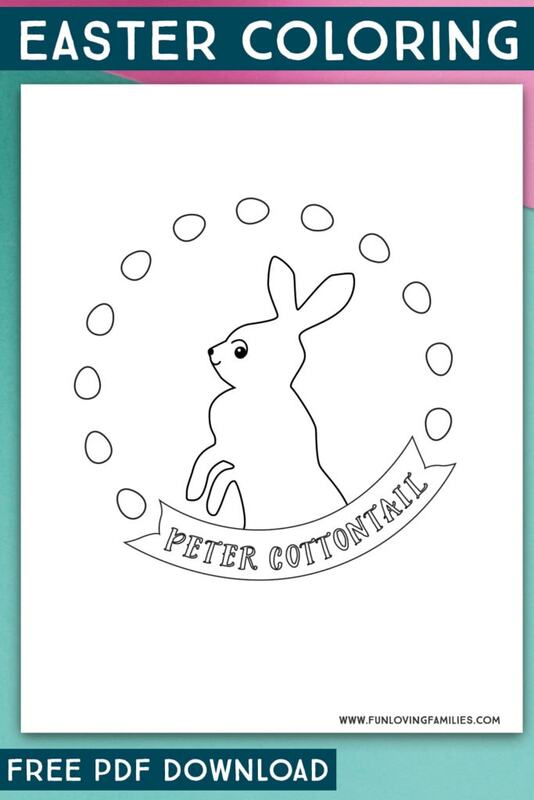 Looking for more ideas for Easter fun with the kids?